If you happen to be walking or driving down San Jose, California, later this year and have a feeling that a late model Mercedes-Benz-S-Class sedan just checked you out, you may be right. With rooftop lighted sensors and a quick flash of a signature LED lamp, you could assume that this car just gave you a quick wink. If this is the case, this car may be one of the several cars in a pilot program that is testing its ability to communicate with people and other cars. How cool is that! The German firms Daimler and Bosch have partnered together on a large-scale autonomous car project which started in 1986. Last month, the companies announced a plan to test a ridesharing service in San Jose. Riders are not charged for the trips and the rides will follow specific routes in Silicon Valley City, San Jose. The rideshare cars will have trained and certified human operators onboard while traveling on public roads. Going back to what we really want to know – just how can a car communicate with a person? 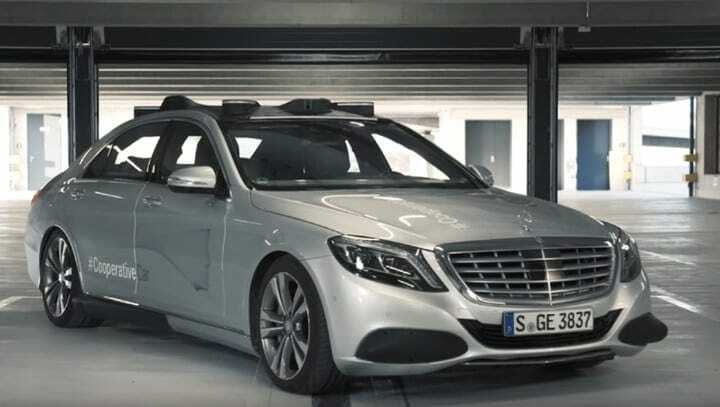 In the preview video, an S-Class sedan demonstrates many features that will acknowledge and signal people, other vehicles, and anything else it will notice. For instance, blue LED light stripes on the roof-mounted sensors indicate the vehicle is in self-driving mode. When a car is about to begin a trip, you will see the car lift its body a little bit, fold the mirrors, and emit a special sound. While the car is traveling, the lights on the roof will sequence to acknowledge other vehicles and people on or near the road. In the preview video, you can witness the right signature LED lamp blinking twice to a pedestrian just off the road. In other words, it is giving them a little wink to say they’re there. 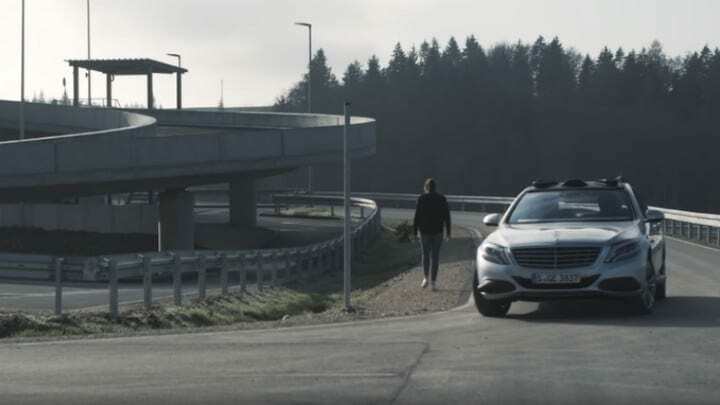 “The cooperative vehicle mimics the natural eye contact between driver and pedestrian as if to say: ‘I’ve seen you,’” says Daimler. The ultimate goal of this stage of the Daimler and Bosch project is “to create trust and to make communication between people and self-driving cars as intuitive as possible.” While we see vehicles that talk in films such as Cars, this new phenomenon of having vehicles greet us is not a far stretch.